2-10 Do You Think It's Alright? 2-12 Tommy Can You Hear Me? 2-14 Go To The Mirror! 2012 issue of the concert originally released in 2010 as part of the "Live At Leeds (40th Anniversary Ultimate Collectors' Edition)" boxset. 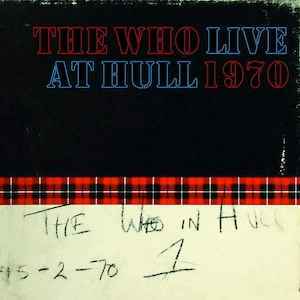 Original recording produced by The Who at Hull City Hall on February 15, 1970. Recorded on the Pye Mobile.